Very interesting move announced by Rand Worldwide, the owners of IMAGINiT. With the relentless move of Autodesk to “the cloud” (code for direct sales), this seems like a smart move for resellers. FRAMINGHAM, MA, Apr 22, 2013 – Rand Worldwide, a global leader in providing technology solutions to organizations with engineering design and information technology requirements, today announced it is rebranding its training systems division to Rand 3D to offer a complete design engineering solution. In addition to providing training and support for CATIA, DELMIA, ENOVIA, 3DVIA and PLM Express and PTC Pro/ENGINEER and Creo software, this new division will also sell Dassault Systemes’ software in both Canada and the United States. Chris Grossman, senior vice president of enterprise applications at Rand Worldwide Integrating, said that their unrivalled expertise in training and support with selling Dassault software now allows their customers to have a seamless experience with one partner that will meet all their needs throughout the software lifecycle. They are glad to be leveraging their rich training services history, with their experienced trainers and courseware developers that offer a variety of training options from virtual classes to custom on-site options. As an established solutions partner with Dassault Systemes and with a proven track record, Rand 3D offers customers the latest software releases and updates for software including: 3DVIA Composer, CATIA PLM Express, CATIA V5, CATIA V6, DELMIA PLM Express, DELMIA V6, ENOVIA V5 VPM, ENOVIA V6, and V6 PLM Express. As posted on TenLinks. Click here for full article. IMAGINiT Technologies, A RAND Worldwide Company (OTCBB:RWWI), is the world’s largest provider of enterprise solutions to the engineering community. With 20+ years’ experience, and over 40 offices throughout North America and Asia Pacific, we provide the expertise, training and support to help companies realize the full power of design technology, increase productivity, maximize ROI and gain competitive advantage. IMAGINiT is a leading provider of Autodesk software solutions and the largest North American Autodesk Authorized Training Center® (ATC) partner. All of our locations are supported by a vast pool of engineering resources focused on developing real-life business solutions for their local clients. 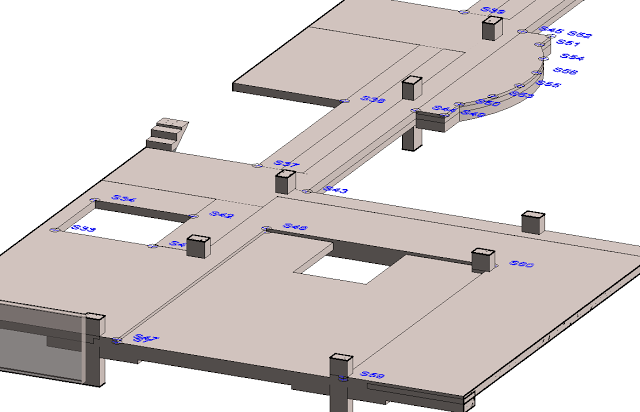 This entry was posted in BIM Software on April 26, 2013 by rumbelom. The Level of Development (LOD) Specification is a reference that enables practitioners in the AEC Industry to specify and articulate with a high level of clarity the content and reliability of Building Information Models (BIMs) at various stages in the design and construction process. The LOD Specification utilizes the basic LOD definitions developed by the AIA for the AIA G202-2013 Building Information Modeling Protocol Form and is organized by CSI Uniformat 2010. 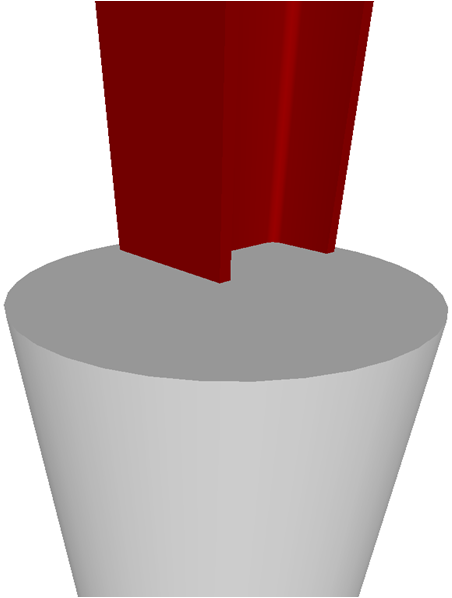 It defines and illustrates characteristics of model elements of different building systems at different Levels of Development. This clear articulation allows model authors to define what their models can be relied on for, and allows downstream users to clearly understand the usability and the limitations of models they are receiving. The BIMForum’s mission is to facilitate and accelerate the adoption of building information modeling (BIM) in the AEC industry. We will lead by example and synchronize with counterparts in all sectors of the industry to jointly develop best practice for virtual design and construction (VDC). We will share our experiences and execute our goals via online forums, highly useful deliverables and practical industry conferences. We will revolutionize the building industry. Although the BIMForum operates as a unified group, chaired by John Tocci of Tocci Building Corporation, ten subforums have been established to address each relevant industry sector and topic. These subforums collaborate with each other and other industry organizations (AIA, NIBS, NIST, IAI, C3T, 3xPT, CURT, etc.) on interdisciplinary projects to accelerate the adoption of BIM. 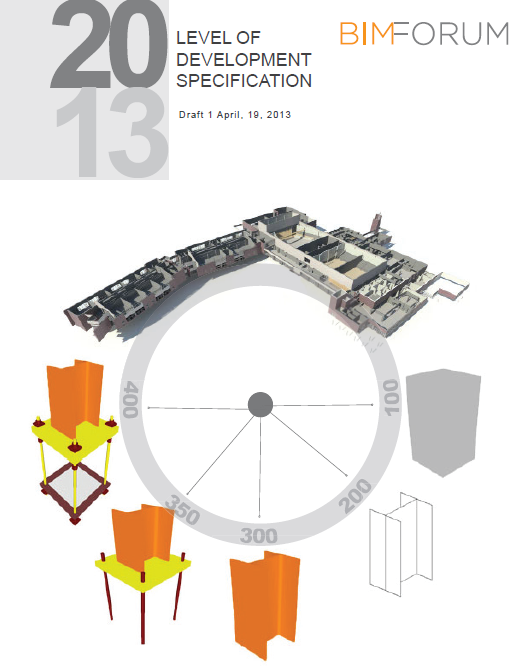 This entry was posted in BIM Collaboration, BIM Standards on April 25, 2013 by rumbelom. The forum will include a number of keynote international presenters from organisations such as McGraw-Hill, Shanghai Tower Construction Development, Balfour Beatty and EngWorks. Leading Australian keynote presenters from organisations such as Master Builders Association, Lend Lease, Probuild, The GPT Group, Hansen Yuncken Leighton Joint Venture, Commonwealth Defence, Arup, AECOM, Architectus, and AMCA members to keep the attention of the audience and interest regarding the Australian and global perspective. 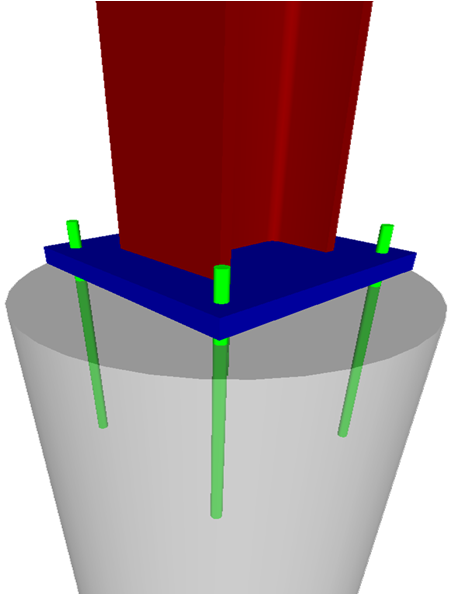 This entry was posted in BIM Conference, BIM in Construction on April 24, 2013 by rumbelom. 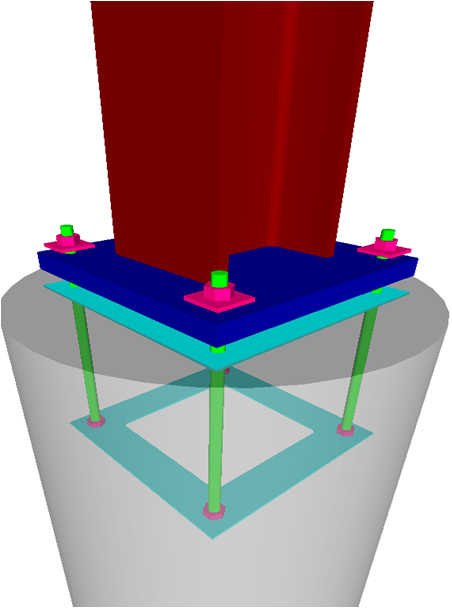 This entry was posted in BIM Collaboration, BIM Software, IFC on April 24, 2013 by rumbelom. Well basically it’s a BIM festival! So what does that mean for you, the fans? Headlining BIM superstars, different software genres, multiple stages and presentations, hands on activities and collaboration jam sessions… So its ‘about as much fun as BIM is ever going to be. Well yes and no… You will improve your understanding of BIM and its advantages/benefits to AEC designers, fabricators, contractors, facility managers and building owners. Work out what BIM is and what BIM isn’t. Get the lowdown on where other industry players are at with BIM and where they are heading in the future. The BIM Day Out celebrates collaboration and difference. Have a great time, socialise, explore, collaborate and learn… move outside comfort zone and experience new things… embrace change Excuse for a party? !… well, yeah maybe. You bet! A great place to get away to in the middle of Winter and with a conference offering this much value you can afford the airline tickets and spend the weekend! 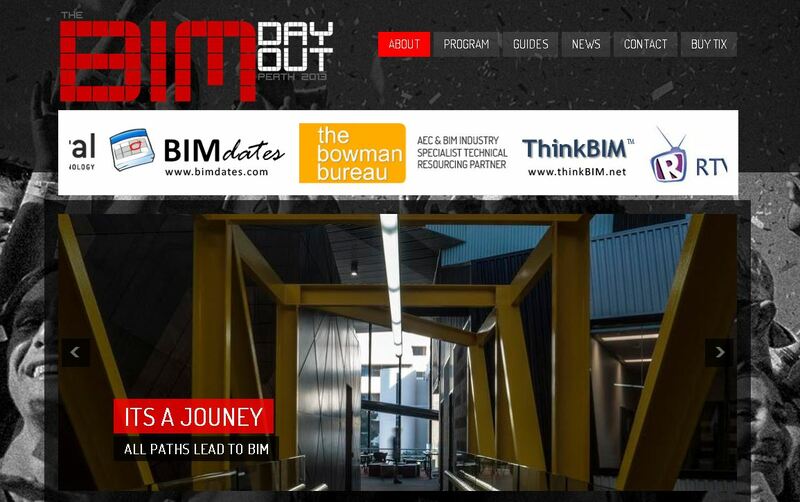 www.bimdayout.com is now live! Drop by and pay us a visit… and get ready for the VIP Pre-sale Access All Areas Tix to be released VERY SOON! This entry was posted in BIM Collaboration, BIM Conference, IFC on April 17, 2013 by rumbelom.